Reading success stories of great professionals stimulates motivational enzyme within us and we all wish to emulate them on our path of success. MBA Rendezvous is presenting you on every Saturday a motivational story of successful Professional. Being involved in conservation of forest and wildlife, Dr. Priya Davidar is a scholar, Indian researcher and an author. Her father, E.R.C Davidar, is a conservationist and her brother is one of the founders of Sigur Nature Trust. The researcher completed B.Sc in 1973 from the Madras University. She pursued her higher education and completed M.Sc in 1975. She worked on her thesis and completed PhD from the Bombay University in 1979 and S.M. from Harvard University in 1985.She is a researcher, scholar and a famous author researching in many areas of the environment. 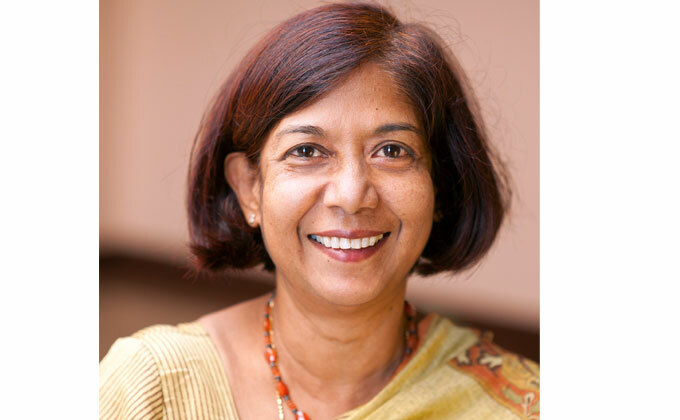 Honored as the President of Association for Tropical Biology and Conservation in, Dr. Priya Davidar, has been working in the Pondicherry University as a Convener since 2009. This professor teaches conservation biology and behavior. She has been analyzing different types of resource usage and degradation of forests in many parts of India. Many of her studies are intense and her research on a variety of fauna in the Andaman archipelago shows that the size of the island and the habitat characteristics are very important parameters that determine the diversity of species and distribution. Her doctoral thesis was on the pollination of the hemi-parasitic mistletoes by nectar feeding birds. With her current interests in the field of ecosystem services rendered by pollinators to crop plants and wild plants, Dr. Priya Davidar has studied pollination systems in various ecosystems. ‘Whispers from the wild’ is a book written by Dr. Priya Davidar along with her father E.R.C Davidar’s assistance and support. Being actively involved with the conservation of wildlife and nature, Dr. Priya Davidar is also a member of American Association for the Advancement of Science. An author of many articles on environment and biodiversity, she has contributed immensely to a lot of publications. Her works have enlightened and ignited the lives of many readers. Providing insights on the causes and actions of humans on the environment has awakened people to be polite with the nature. Teaming up with people of similar interests and also with her students, Dr. Priya Davidar has efficiently put her efforts to make a difference to the society. Her works indicate that the awareness on the ill effects human intervention with nature. She has to her credit a contribution of over 51 publications. Her interests on various inter-related fields like biodiversity, biogeography, conservation, and pollination ecology have significantly contributed significantly to the environmental studies. Her researches on these areas have inspired several changes to be practiced to help save the nature and its treasures.